When it comes to progressive reloading presses, they are designed for reloaders who have experience. If you are a shooter who is experienced and who goes through many rounds every week, then a progressive press may just be a good investment for you. The progressive reloading press is more complex as opposed to the single stage and the turret press. It is not easy to find the best progressive reloading press, as there are many options for you to choose from. If you are new to the gun world or you are new to gun accessories, do not worry as this is where most people start out. The good news is that it is fairly easy to educate yourself with regard to progressive reloading presses. Even though this may present you with a learning curve initially, once you have figured it all out, you will be pleasantly surprised at how easy it is to use. A progressive press is perfect if you are looking to shoot with large quantities of ammunition. It will really help you save on time, however if you are looking for the very best progressive reloading press, do be aware that this will come at a price. It is an investment that you are going to only want to make once. Instead of having to sort through tons of different progressive reloading presses, we have done all the leg work for you. Today we will be talking about three of the best reloading presses and we will even share with you, which one we think is a sure winner. Includes a large and a small primer pick up tube. Case feed tube to automatically insert cases. We did our utmost best to ensure that we did a fair comparison. We wanted to make sure that we found the very best progressive reloading press on the market. We took all three products and evaluated each one. We made sure that we looked at all the pros, cons and features on an individual basis. We also ensured that we took into account everything that a shooter would want, when purchasing a reloading press. We tried to make sure that the reloading press that we chose at the winner had the very best of everything. Unfortunately some of the cons did not make us very happy. However we did find our one winner. 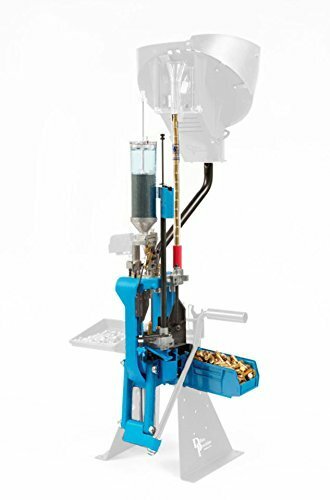 In our opinion we decided that the Dillon Precision 16944 XL was the winning reloading press. It has everything that you could need except for the dies. Other than the factor that the dies need to be purchased separately, there were not many others cons. Even though it may prove to be a substantial learning curve to new shooters, this is the same as it would be with all reloading presses. It has an excellent list of features and it certainly measured up to our very high standards and expectations. This reloading press is a sure winner which will help you to up your shooting game. In terms of security and safety this is another element which we decided to factor into our research. We wanted to be confident that the product which we thought was the best would not malfunction or fail you at any point. We also wanted to make sure that that it was as safe and secure as possible. The Dillon Precision 16944 XL met all these requirements and many more. When it comes to your shooting, you should not take any chances. In terms of safety, accuracy, speed, time and much more a quality reloading press can end up becoming your best friend. We decided that the best progressive reloading press that we have seen on the market to date is the Dillon Precision 16944 XL. We feel very confident that this reloading press will certainly get the job done. It will help you to improve your game and it will end up saving you lots of time and money over the long run. This is a worthwhile investment, which you won’t regret buying.